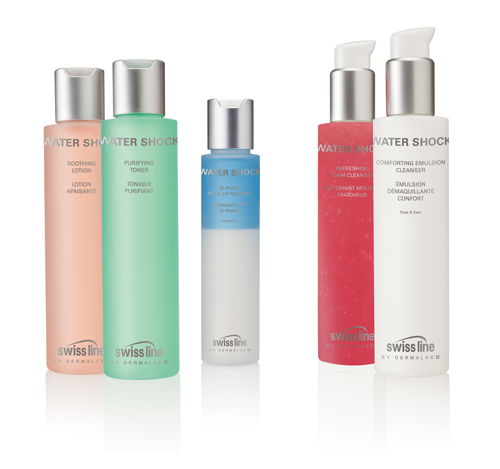 Water Shock is a paraben-free, silicon-free and allergen-free collection of cleansers, toners and an eye makeup remover. Consumers can select their cleanser or toner according to their skin type and texture preference. The products in this collection can easily be used in tandem with products in the Cell Shock and Force Vitale.